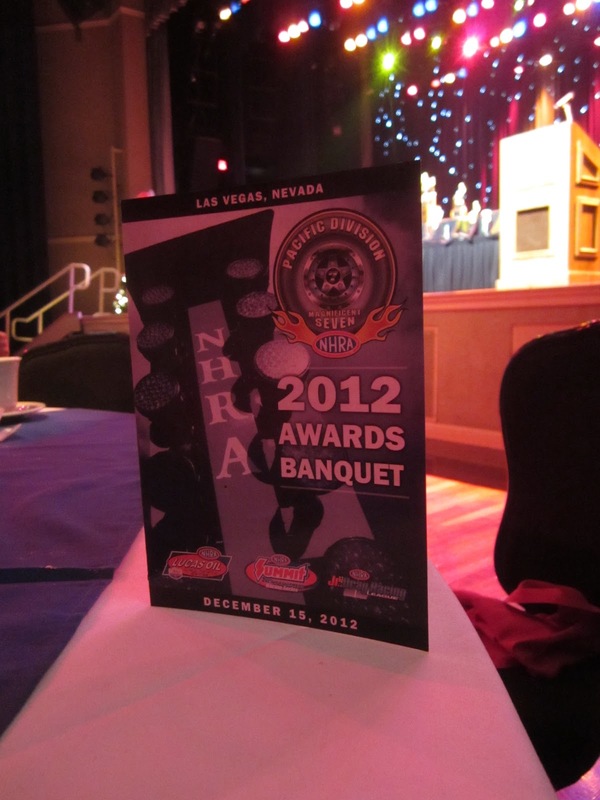 This past Saturday the Jim DeFrank & Sons Racing team was in Las Vegas for the annual Lucas Oil Division 7 Awards Banquet. California Car Cover's own Jimmy DeFrank received his trophy for winning the Super Stock divisional championship for the 10th time. 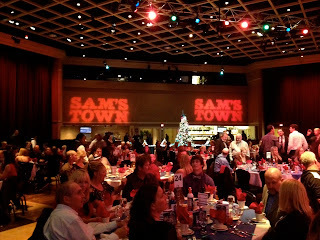 The awards banquet was held at the Sam's Town Casino. 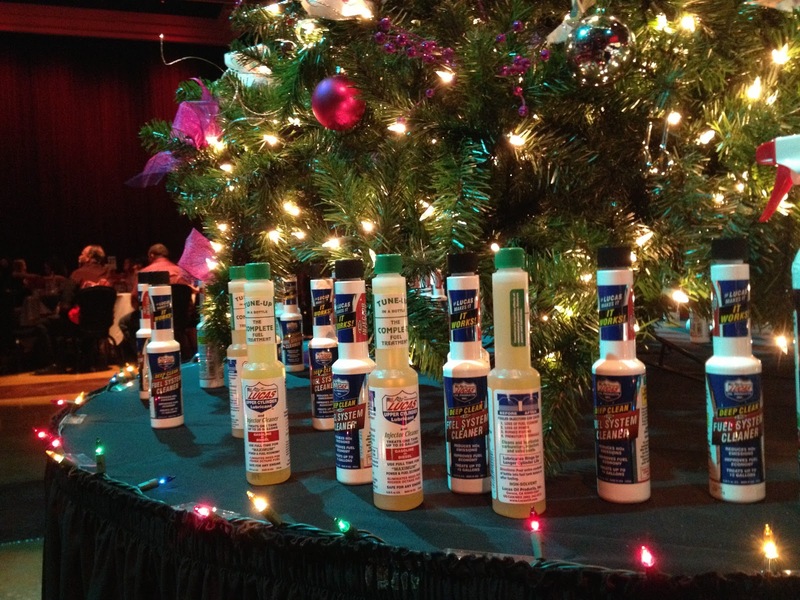 Lucas Oil is the title sponsor of the NHRA Sportsman Series. Jimmy won the Super Stock national title for the fourth time this season, but also captured his 10th NHRA Lucas Oil Division Championship. The trophies to be presented at the banquet. 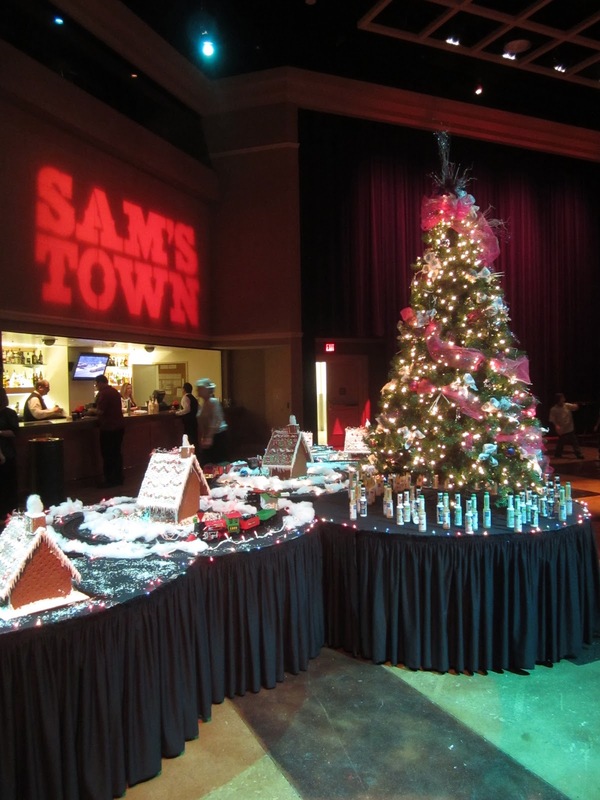 The festive decor at Sam's Town. Many of the winners at this year's banquet were repeat champions from last season. 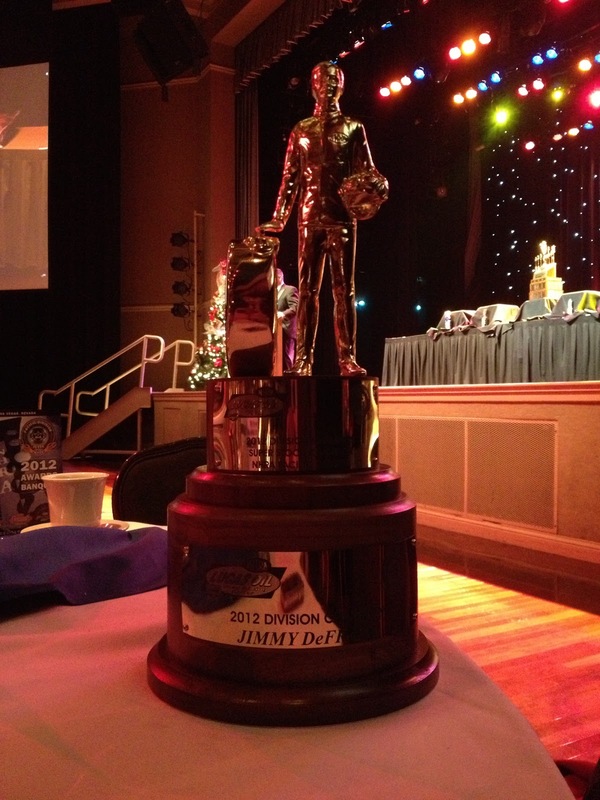 "It was a great year for Jim DeFrank & Sons Racing and California Car Cover," said Jimmy DeFrank. "We had a tough year and had to win some races down the stretch to clinch the title. I am fortunate to have such a great company and team behind me." 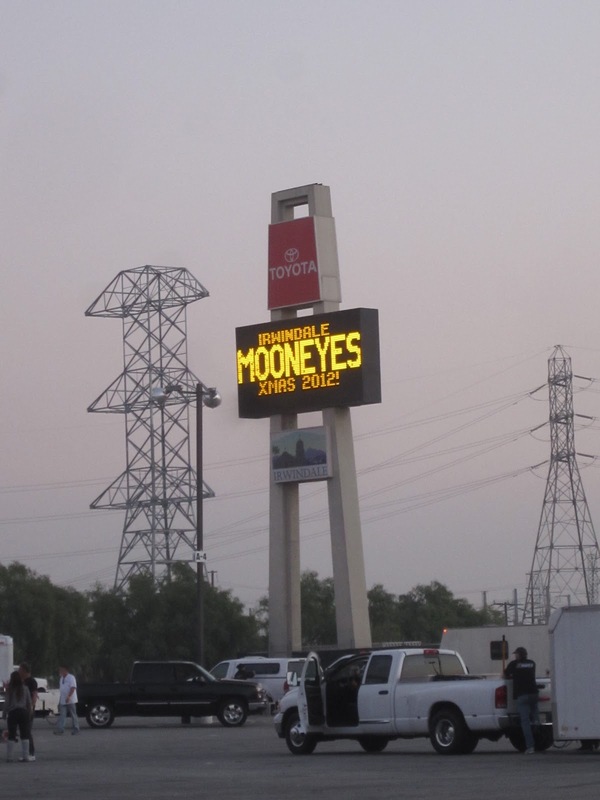 This past Saturday was the annual Mooneyes X-mas Party Show & Drag at Irwindale Speedway. 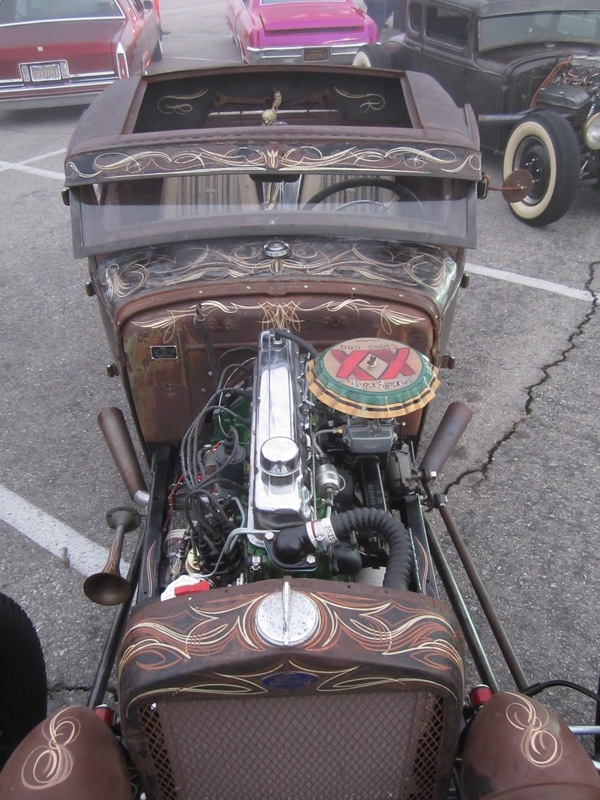 The annual car show attracts over 1,000 cars to the speedway each year. The show has plenty to see and do, including 1/8 drag racing, classic car show, pin-up contest, live music and much more. The California Car Cover booth was busy during the day, but I tried to take some photos before setup and after closing to show you what was on display if you didn't make it out. A full day was scheduled at the X-mas party. Classic cars started lining up at the show pretty early in the morning. The CCC Crew and I arrived at 530am and there were plenty of cars inside the show well before us. Before the sun came up I had a chance to check out some of the cars on display before the CCC booth had to be ready for business. The show attracted plenty of classic cars, hot rods, tradition rods and customs. There were plenty of white wall tires on display. 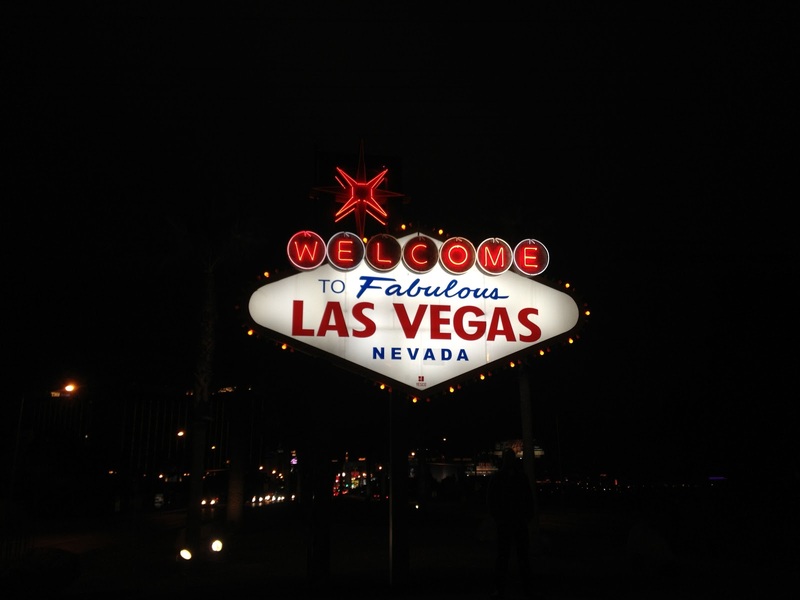 I took plenty of photos and posted them to the calcarcover Instagram feed. Plenty of cars were parked by 6am. 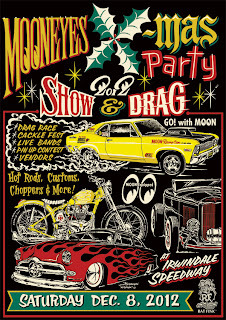 There were even a few bicycles and motorcycles at the Mooneyes X-Mas Party. Nothing newer than that 1965 was allowed into the car show. 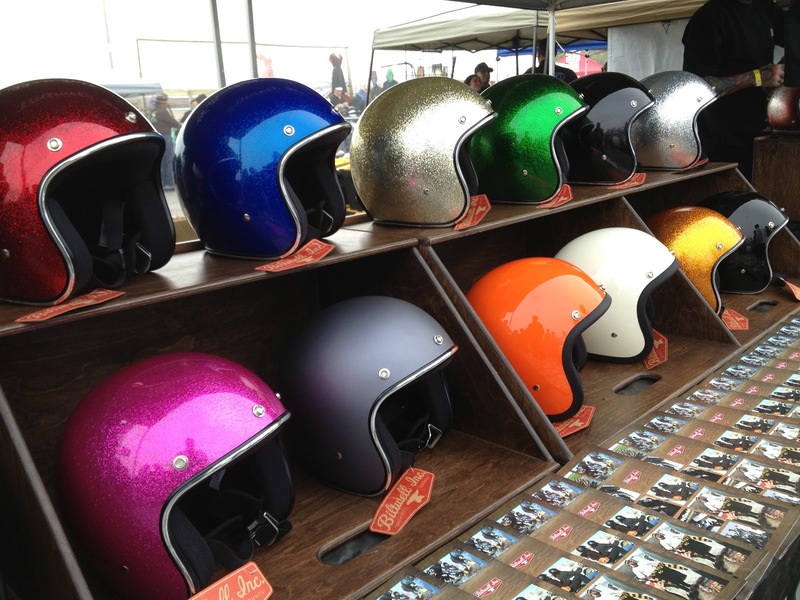 The California Car Cover booth was in the vendor midway. 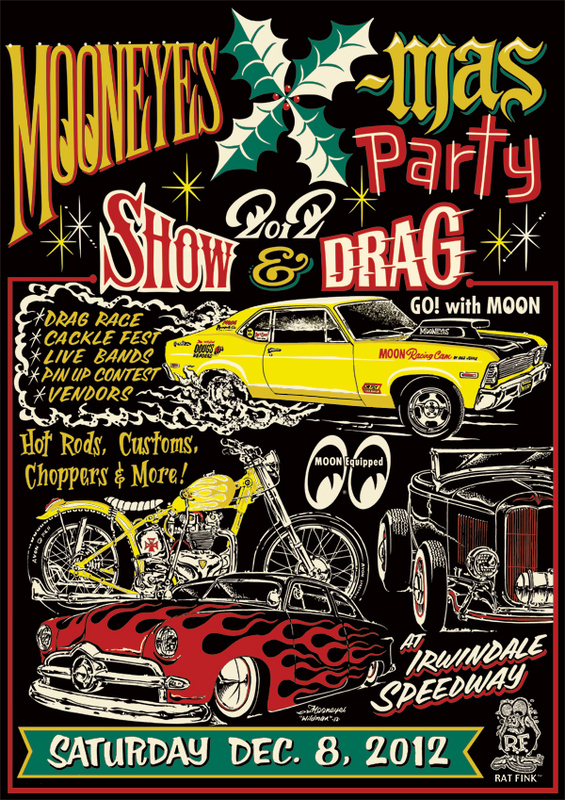 CCC has been carrying Mooneyes products since we started back in 1989. 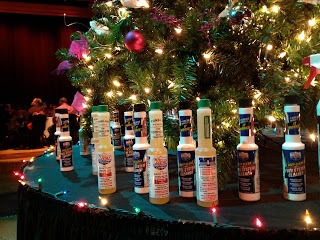 We were happy to be on hand to support the car show. 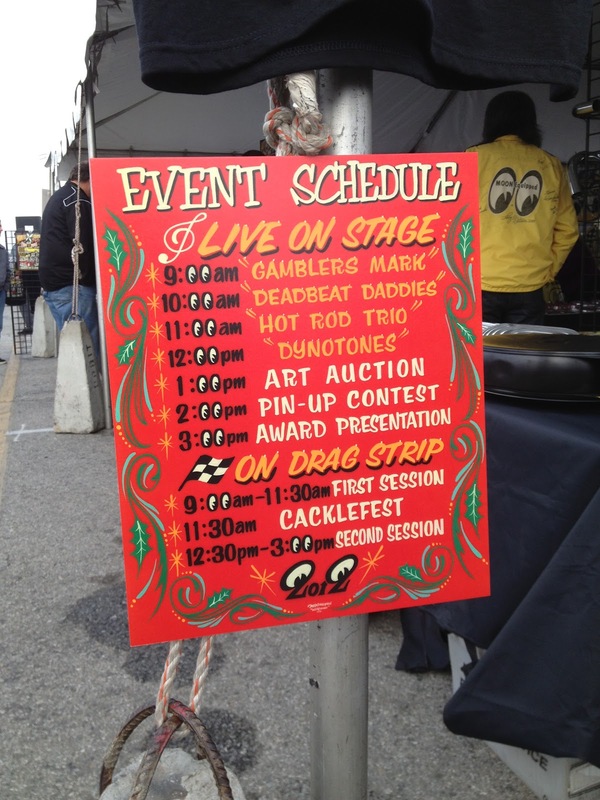 There was live music all morning on the stage, plus an art auction and pin-up contest in the afternoon. Once the fog lifted and the sun came out, there was plenty to see. 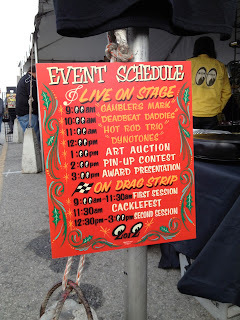 It was a great day for a car show and the aisles and grand stands were packed with hot rodders all day long. The 1/8 mile drag strip was up and running. There were plenty of old school gassers and pro street cars taking laps down the track. Besides California Car Cover there were plenty of other vendors on hand selling apparel, nostalgia and accessories, like these vintage style helmets. At the end of the day I was able to walk around and see some of the cars that I missed in the morning. Below are some more photos from the show that were posted to the California Car Cover Instagram feed. 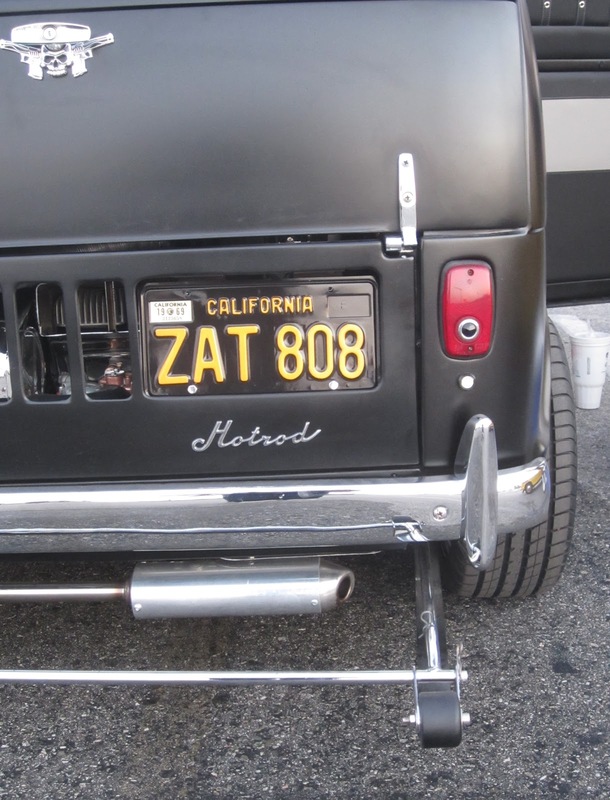 Look for calcarcover on Instagram to view more photos from all the car shows we attend. For more information on California Car Cover, check out our Facebook page or main website. Check back later in the week when we will have some video from the Mooneyes X-Mas Party here on the blog or on the CCC You Tube channel.